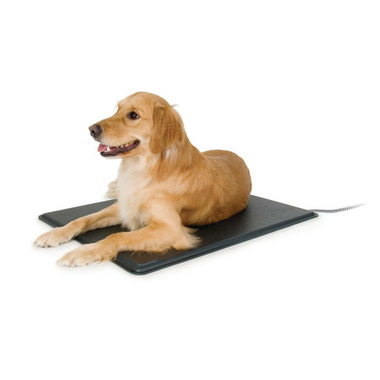 Place the Lectro-Kennel directly on a hard, flat surface in your home or inside a doghouse or kennel. The area chosen should be sheltered from direct rain or snow. Plug into 110-120 volt AC outlet. Allow 1-2 hours for the Lectro-Kennelʪ to warm. The unit will feel slightly warm to the touch. When an animal lies on the pad, it will reach a maximum temperature of approximately 102F. The built-in thermostat will automatically regulate the temperature. After initial warm-up, your Lectro-Kennelj will feel cooler to the touch. This is the intention for energy efficiency. When your pet lies on the bed, it will warm to a comfortable temperature in even the coldest of weather.